‘Unexplained wealth’ can now be confiscated by the Fiji courts following the introduction of the ‘unexplained wealth’ provisions in the Proceeds of the Crime Amendment Decree of 2012. 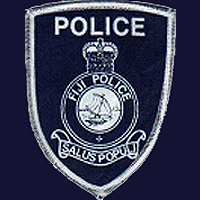 Fiji Revenue and Customs Authority has confirmed that more than $300m in illegal funds has been circulating in Fiji over the past three years. These funds are generated from money laundering, tax evasion and funding illegal activities. FRCA is now investigating a number of cases. The new unexplained wealth provisions allows the court to confiscate any property/benefit that is owned/controlled by a person that cannot be reasonably explained in relation to the lawful income of that person. Police have also committed substantial resources in investigating complex financial crimes as they have specialized units like the Anti-Money Laundering Investigation Unit, the Cyber-Crime Unit and the Transnational Crime Unit.